If you love the music business and your business is to license your music, songs or lyrics for commercial uses. Then a LicenseQuote storefront might be just what you’re looking for. Being independent in the music industry means sometimes, you have to look a little harder at how your creative talents are earning you a living. It can be quite daunting working the usual music sites, working hard on your new album, EP or single, only to have a few people actually pay and download your original song or music track. So I thought it would be interesting to look at other ways you could potentially earn money from your creative works than just the selling aspect for personal use. In this review article, we will take a look at LicenseQuote.com and what they have to offer the independent to license their music for commercial usage, using an embedded store right on your own website. I would mention that the above site and others like them are not the only way you can go forward with music, licensing solutions. You can do this very easily yourself without using any third parties, but you will need your own hosted website to do so. I’m sure that 90% of all creative people will already have their own website in place so this shouldn’t be a barrier problem. However, if you haven’t you can use a site like Audiojungle to sell and license your music or catchy songs to commercial users, AJ takes care of all the licensing stuff for you, you just concentrate on creating and uploading to their store. However, leveraging already established commercial licensing music sites to do this can be a big step up the ladder for many, and you will not in most cases need your own site to do this option. I will cover other options soon in other posts. 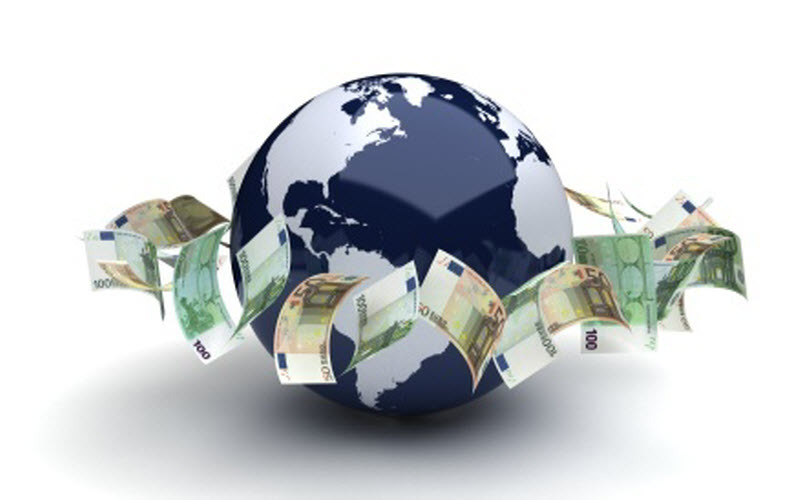 A full music licensing e-commerce solution you can embed into your own website. Without much effort on your end, you can have a private branded professional licensing store on your website, which makes it easy for you to license (sell) your music and keep 100% of the revenues. Music songs/tracks in your store can have an optional retail “Buy” button enabled from the Licensing Profile admin page. This lets you set the price. If set to $0.00, the track is available for Free or promo download, but the default price is $1.00 which can be edited and saved. Search, filter, preview music/songs, get quotes and license your music/songs for commercial usage. The advanced HTML5 music player has a waveform display and mobile support. Payment collection and contract generation and you have full control of your store’s look: colors, font, and images to integrate into your website. Anyone with a portfolio of music, or finished recorded song tracks. Typically it would be, Music Publishers, Labels, Composers or Singer-songwriters… Even Music Libraries. The door is open to all the above. There is some back-end stuff you will need to get done before you are ready to embed your store on your own website. Like, registering your songs, Setting up your music licensing store before embedding in your own site, defining your genres and uploading your stuff to their servers. What’s the cost of this service? They offer a free plan to small independents… You can use your embedded store free of any cost to you, so long as you do not have more than 15 tracks to license or sell to fans; however, there are usage limitations. The FREE plan is limited to 15 total tracks (i.e. songs), and 3 licensing sales, after which buyers can still find music and play tracks, but can’t purchase licenses or buy a single download of a track until you’ve upgraded to a paid subscription plan. So the cost then varies after 15 tracks… Starting at $5 per month or $50 per annum dependent on how big your portfolio of music tracks grows and what usage you need. There comes a time when you really need to look at how you are making a living from your music passion. There are lots of avenues artists do not even consider when it comes to generating and reinvesting back into their career. Licensing your music to companies for commercial usage in their own projects can be a lucrative way to make your music pay you. Researching the opportunities these kinds of licensing companies offer the small independent artist should not be overlooked. Anyone can use a service like this such as, a composer, lyricist or singer-songwriter. It can be a way for you to move forward with your music career, meaning the difference between making a good living or ending your dream of having your passion for music not become a full-time career opportunity for you. I would recommend anyone to reinvent their back catalog of music, that are no longer earning them money even going forward with new stuff you are working on. With a complete range of standard or custom rate usage cards, licensing that old track you recorded five years ago, could and should be making you money. 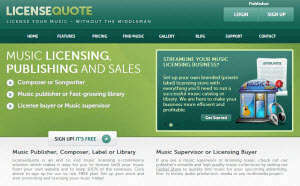 LicenseQuote.com Offers a good service to interdependent artists who have a small catalog of music to offer. They offer a free to get started plan with no strings attached, ideal for those who want to give this type of opportunity a try. You can sell single song/ album or EP’s right from your own website or offer a usage license. All your stuff is uploaded to their servers so even if your website/blog is on shared hosting, you have no worries about securing your files. 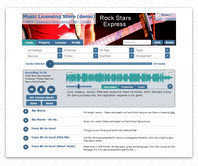 Many commercial music buyers visit LicenseQuote.com direct to find creative’s, they need for projects; They can find your music listed there and buy usage rights on LQ without needing to visit your own site. You are going to need your own website, shared hosting is alright for this. You will need to put some work into promoting your site and let others know they can license your music, songs and buy directly from your own site. You will need to do some diligent research on LQ’s site. There is a lot of info you will need to take in.